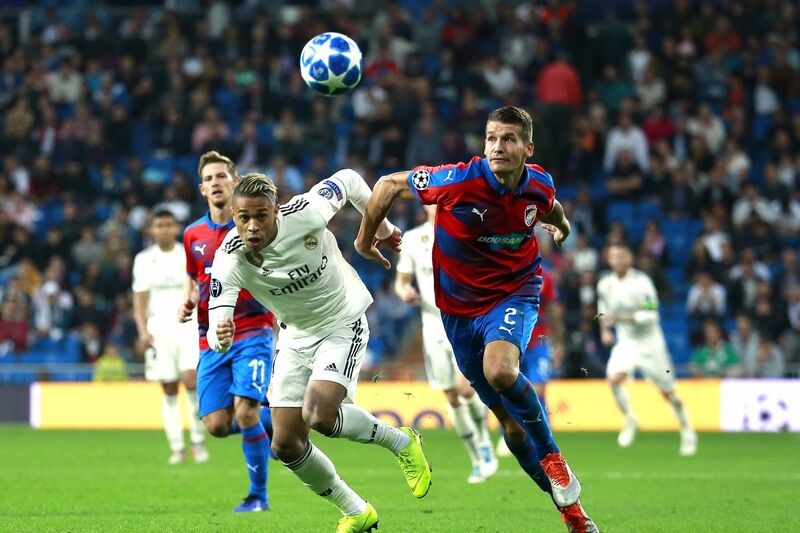 Match day 4 of the Champions League pits Real Madrid against FC Viktoria Plzen, set to take place in the Czech stadium, the Doosan Arena, which holds a lofty 11,700 people. The two teams just faced each other two weeks ago, where los merengues were able to escape with a 2-1 win. Real Madrid is (at the time of writing this) tied with Roma for first place in the group, only in the lead due to the head to head record thus far versus Roma. It would be quite nice to come away from this game with three points, and to hope for a Roma loss to CSKA Moscow. Hey, Moscow beat us, so why not"! #SadFace Anyway, it?s being said Real have a 72% chance of winning this game and Solari is a tactical genius so I predict another 4-0 win. We can use this thread for all of the other games taking place today as well. Tebby will be excited that Valencia are playing his favorite team, Young Boys, and Manchester United travel to Italy for another challenge against Juventus... amongst other games on the slate. Enjoy a fun day of football!